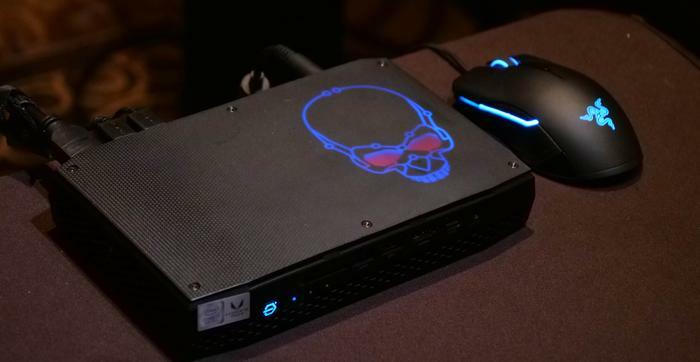 Intel has announced that the next-generation of its ultra-portable NUC desktops PCs will incorporate Radeon RX Vega M Graphics, enabling them to arrive ready for both VR and gaming experiences. Due for a release in March 2018, the new Hades Canyon NUC will come powered by the company’s newly-announced 8th-gen Intel Core processors with Radeon RX Vega M Graphics. Pitched as a NUC that’s ready to provide 60FPS 1080p gaming and premium VR experiences experiences at a moment's notice, it’ll rely on an unlocked Intel i7 8809G for most of its grunt. The 'Hades Canyon' NUC will also come with a plethora of ports (Dual Thunderbolt 3, Dual m.2, Dual HDMI, Dual Display, Dual Gbe LAN, 7 USB, SDXC and Toslink. All told, Intel claim it’s the smallest premium VR machine on the market.